Insolvency law governs companies and individuals in financial difficulty and unable to repay their debts as they become due. This could lead to insolvency, wherein legal action is taken against an insolvent entity, and assets may be liquidated to pay off debts. Restructurings occur before a business or an individual becomes involved in insolvency proceedings. Another option is out-of-court arrangements with creditors to work out alternative repayment schedules. The work of legal professionals within this field can therefore be considered non-contentious, i.e. restructuring, or contentious, i.e. insolvency litigation, and their roles may vary, dependent on whether they act for debtors or their creditors. In this Round Table feature, Corporate INTL examines insolvency and restructuring law's legislative complexities, relevant updates and other key issues, with the help of key experts in the field, based all around the world. Kesar Dass B. & Associates is recognised as India’s leading insolvency practice with vast global exposure and experience. Led by one of the most respected global experts in this field and who is also recognised as India’s number one insolvency practitioner for many consecutive years by Legal 500, the firm advises on the largest and most complex restructurings, and has the reputation of providing pioneering solutions as well as real commercial results. 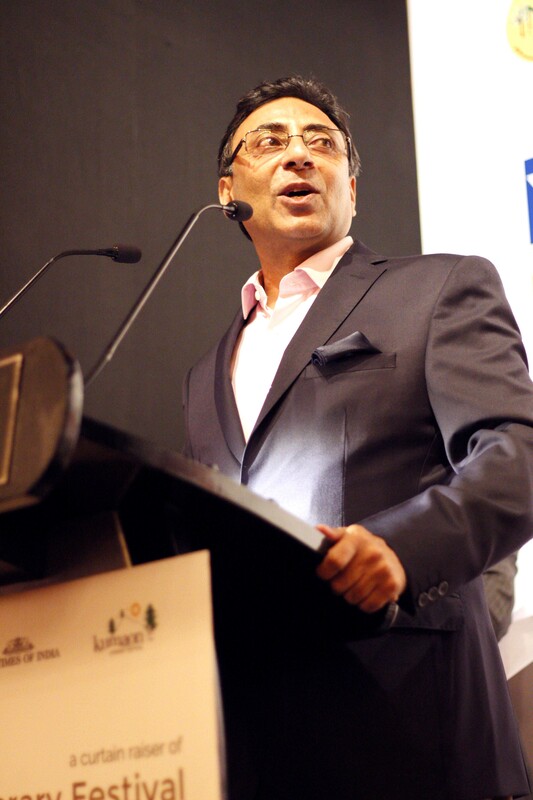 A lawyer of international repute, social commentator and thought leader, Sumant Batra is a multi-faceted person with accomplishments in diverse spheres. A policy lawyer and insolvency practitioner of global eminence, he was rated as India's number one insolvency lawyer by Legal 500 for six consecutive years. EXP Legal is an Italian and international law firm based in Rome and Milan, collaborating with 91 law firms, member of the International Lawyers Network (ILN); it has been created by a group of practitioners who are experts in the fields of commercial and corporate restructuring laws and offers the highest standard of professional services delivering clients excellent results. 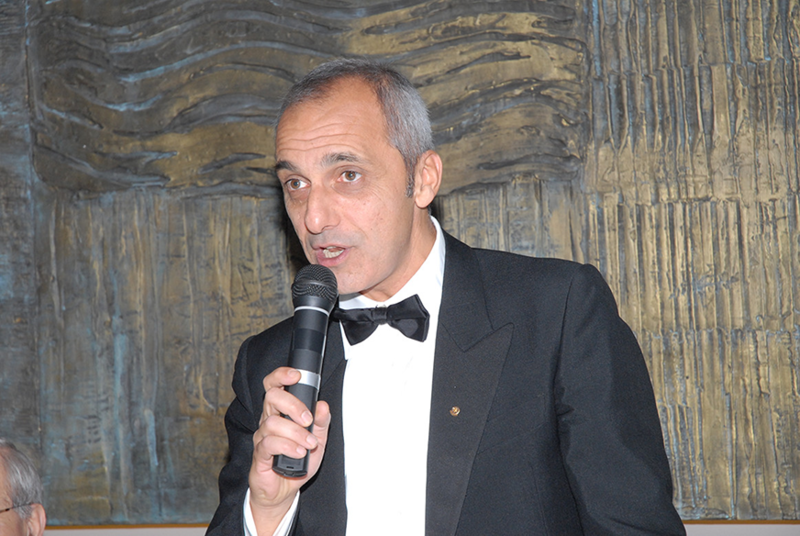 Giorgio Cherubini is founding partner of EXP Legal – Associazione Professionale and provides legal assistance for private and public institutions, banks and companies in the field of corporate law representing Italian and foreign clients. 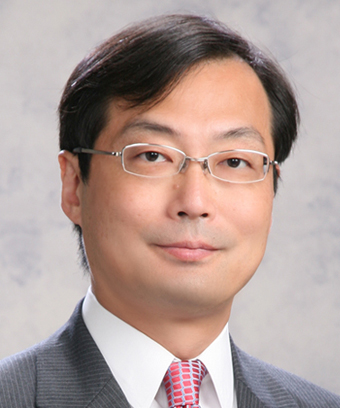 Shinichiro Abe is one of Japan’s leading specialists in Japanese and international corporate restructuring and insolvency law. He is highly respected as an advisor for transactions (including M&A) and structures requiring insolvency protection and solutions. He has also contributed to numerous publications and spoken at various seminars and events. He is a visiting professor at Chuo Law School. Mr Abe founded Kasumigaseki Law Office in 2016 to provide specialised and cost-effective services to clients in the areas of restructuring and insolvency as well as crisis management. 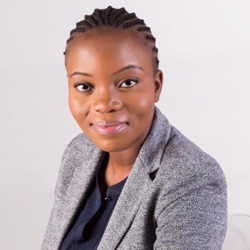 Onalenna Otlaadisa Diloro has ten years’ experience and she has handled many leading cases in commercial law in Botswana, primarily serving corporate clients. Her expertise includes shareholders’ disputes, enforcement of contracts, liquidations, insolvency and re-structuring. Ms Diloro holds a Bachelors of Laws Degree from the University of Botswana and is admitted as an attorney, conveyancer and notary public. C. Edward Dobbs has practiced law for more than 42 years. 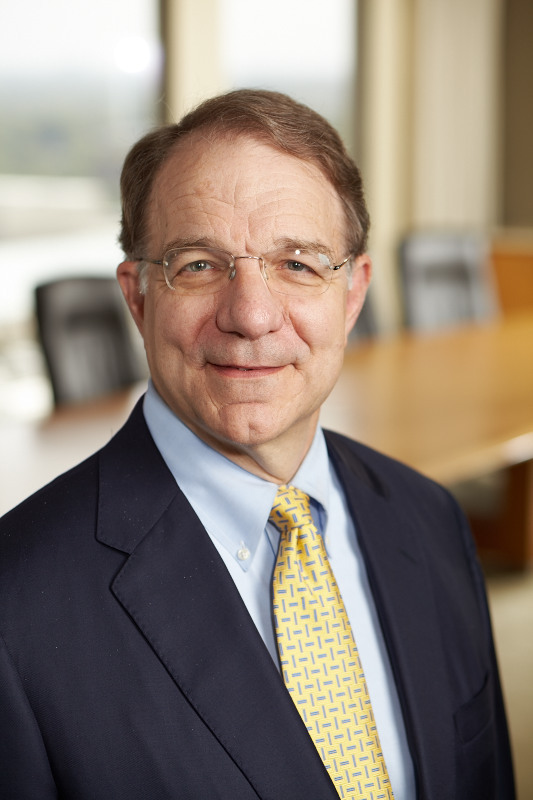 A senior partner in the Atlanta office of Parker Hudson Rainer & Dobbs LLP, Mr Dobbs has focused his practice on documenting syndicated loan transactions, representing creditors and debtors in debt restructurings and Chapter 11 bankruptcy cases, and serving as a neutral in arbitrations and mediations. In addition, he has litigated civil cases in both state and federal courts, including in bankruptcy courts throughout the southeast as well as in Delaware, New York, Michigan, Texas, and Oklahoma. How would you describe the current levels of insolvency and corporate restructuring in your jurisdiction? How does this compare to the levels seen during the onset of the global economic downturn? The Indian policy response to distressed assets has been slow and incremental. Just before the 2008 financial crisis broke out, gross non-performing assets of the Indian banks were 2.11% of the total loans. In September 2015, they grew to 5.0%. This was mainly due to absence of an effective and efficient insolvency law. Restructuring was negligible and long drawn liquidation produced little returns for creditors. Over the course of time, the government put in place various incremental mechanisms to deal with menace of non performing loans. A series of new laws were enacted and old laws amended to deal with restructuring of distressed assets and make recoveries. Special debt recovery tribunals were set up. Banks were given rights to enforce security without intervention of court. This resulted in a highly fragmented framework of insolvency law and rights of creditors and debtors. A perverse effect of the slow legal process was that banks began shying away from risks by investing a greater than required proportion of their assets in the form of sovereign debt paper. The state of the insolvency process continued to be highly ineffective and failed to deal with the problem of non-performing loans. As a result, the assets peaked at approximately US$150 billion (~15% of gross advances). The alarming rise in number of non performing assets and the country’s poor ranking in the World Bank’s Ease of Doing Business ranking prompted the new political establishment that took over in 2014 to order insolvency reforms on priority. This led to enactment of Insolvency and Bankruptcy Code, 2016 in May 2016. The law has become partly operational from December. • Restructuring plan: the plan has the effect of preventing the risk of claw-back actions on acts and payments carried out in accordance with the plan, when its feasibility has been confirmed by an independent expert, who must also certify the truthfulness of the financial statements. The plan usually also entails an agreement between the debtor and its creditors, whose terms and conditions are freely negotiable but usually contain: (i) a moratorium and postponement of claims; (ii) the partial or total waiver of claims; (iii) debt refinancing; and (iv) an undertaking by the creditors to refrain from requesting that the debtor enters in insolvency proceedings. • Debt restructuring agreement: this is entered into between the debtor and creditors that represent at least 60 per cent of the indebtedness. The truthfulness of the financial statements, the viability of the plan and the debtor’s ability to settle the claims of all creditors not party to the agreement have to be assessed by an independent expert. The terms and conditions are freely negotiable but generally contain the same provisions of restructuring plan, and limited involvement of the bankruptcy court is required since it has to approve the agreement. This prevents the risk of claw-back actions for payments and acts carried out in accordance with the plan. • Pre-bankruptcy agreement procedure: the debtor is placed into this procedure when: (i) it is in a state of crisis; and (ii) it proposes a plan to its creditors, which may provide for debt restructuring and payment of claims by any possible means (including the sale of assets, the assignment of shares or other securities to the creditors, the assignment of the debtor’s assets to an assignee, “assuntore”, etc.). At present, there do not appear to be very many cases of legal insolvency in Japan. One of the main reasons for this is that the Japanese government has tended to act in order to avoid the increase in the number of legal insolvency cases for several years. Therefore we estimate that there are a large number of Zombie companies in Japan which have suffered financial distress and would have exited the market, but for the assistance provided by financial institutions or government-backed funds. Nonetheless, some government-backed funds have been given an important role in regional vitalization or support of SMEs. One is the Regional Economy Vitalization Corporation of Japan (REVIC), which can invest in and/or consult with companies in need of rehabilitation and which are important to regional economies in Japan. Another is the SME Business Rehabilitation Support Cooperative, which helps small and medium-sized companies to establish a rehabilitation plan and negotiate with banks. The current levels of insolvency and corporate restructuring is relatively high in Botswana. We have noted a recent trend especially with financial institutions who use liquidation proceedings as a more efficient tool of dealing with major debtors, especially where the debt is secured. This trend has been growing since the onset of the Global economic downturn as shareholders are more cognisant of the need to ensure sustainability of resources and shedding off non- performing assets. More recently State Owned enterprises have been liquidated where the Shareholder has found that a company is unable to sustain itself without extensive assistance from its shareholders. This trend has been growing since as far back as 2012, whereas prior to the above said date the State would ordinarily fund ailing entities even though such entities were for all intents and purposes woefully insolvent. Shareholders of private entities and creditors (especially secured creditors such as financial institutions) are now more inclined to liquidate and sequestrate companies and the estates of high net worth individuals, respectively, who trade under insolvent circumstances. The reason being that the insolvency process is more straightforward than having to follow the usual recovery route for a debt, as it may take longer to obtain final judgment by which point assets may have been dissipated by the insolvent or the latter has stopped trading completely and there are limited ways of securing the rights of the creditors. Insolvency/restructuring work in the U.S. began to increase in the 2008-2009 time period, with a marked increase during the onset of the 2009 - 2010 recession. During the period from 2012 through 2015, the number of sizeable cases began to decline. The year 2016 witnessed a slight resurgence in business cases. That increased pace in business filings is expected to continue as a result of a number of economic factors, including the ongoing troubles in the energy sector (low oil prices hurt the "oil patch" and undercut coal, increased concerns in the hospital/healthcare arena, rising interest rates, the disruption of traditional businesses through increased reliance on and availability of technological solutions, ongoing troubles in the retail space, and increased debt restructurings in the municipal arena. Are there any specific legal complexities associated with insolvency and restructuring in your jurisdiction? A new insolvency law, namely, the Insolvency and Bankruptcy Code, 2016 was enacted in India. The corporate insolvency part in the Code has become operational in December 2016. The legal framework for insolvency was fragmented and ineffective for decades even as reforms in the other areas of economic laws moved rapidly after the liberalisation of the Indian economy in 1991. The key principles that form a sound insolvency law were missing or were lost in the complex interplay between the multiple legislations. The restructuring and liquidation proceedings were cumbersome and marred by lengthy court processes. Average life of cases recommended for restructuring took between 4 to 8 years and those recommended for winding up even longer, while it is only 1.7 years in high-income OECD countries. Even as of October 31, 2015, only about 955 (out of 4,636) and 163 (out of 545) cases of court and voluntary winding up were resolved within 5 years. A significant number of such cases were pending for more than 20 years – 1,274 and 205 respectively. The outcomes were obviously poor. The recovery rate (cents on the dollar) in India is 25.7 in India as opposed to 71.9 in high-income OECD countries. India continued to fare badly in the World Bank’s Ease of Doing Business ranking for many consecutive years, with Resolving Insolvency in India being one of the key negative indicators. In 2010, India ranked at number 169 in the list of 189 countries. In 2016, the ranking moved up to 130 but in Resolving Insolvency, India scored poorly having been slotted at 136. The efficiency of the Code is yet to be tested as it very new. The recent bankruptcy law reforms aim to increase the speed and fairness of debt restructuring. More specifically, the ability to bind dissenting financial creditors to a debt restructuring agreement is expected to speed up the process and the ability of creditors/third parties to propose competing proposals for a pre-bankruptcy agreement and competing bids for significant assets/going concerns up for sale is expected to increase the fairness of the outcome of a pre-bankruptcy agreement. There are no legal complexities associated with insolvency and restructuring in Botswana. Insolvency proceedings are guided by the Companies Act as read with the insolvency Act. We do not see any specific legal complexities in the insolvency and restructuring practices in the United States other than the ever increasing likelihood of encountering cross-border issues, significant litigation over intercreditor agreement issues (particularly between first lien and second lien lenders and with respect to unitranche structures), ongoing fraudulent conveyance litigation arising out of equity redemptions and Ponzi scheme bankruptcies, and the legal and political issues that surface in municipal restructurings. Have there been any recent legislative changes within your jurisdiction relating to insolvency and restructuring, particularly in terms of institutions considered “too big to fail”? In 2016, Insolvency and Bankruptcy Code was enacted which overhauled the insolvency system. Parts of the Code became operational in December. It contains many new principles and concepts. The new law is a shift from the “debtor in possession” regime under the previous law to a “creditor in control” regime. It is a creditor friendly legislation. A new discipline of insolvency profession has been created. Insolvency professional has been vested with crucial responsibilities in the corporate insolvency process including management of the debtor enterprise as a going concern. The role of court has been reduced. Strict time lines have been provided for resolution and liquidation, shorter even than what is provided in United Kingdom. Enactment of the Code was prompted by alarming rise in number of non performing loans. The stressed assets in the Indian banking system peaked at approximately US$ 150 billion (~15% of gross advances). It wouldn’t be an exaggeration to say that state-run banks are on the verge of a crisis due to their high NPLs. In order to help public sector banks struggling with high NPAs, country’s Central Bank proposed relaxed norms. Banks were spared from classifying certain assets as NPAs for two more years to reduce the amount of loans that needed to be classified as bad loans. Banks could thus go easy on provisioning against these bad loans. A deadline of March 2017 was given for all banks to clean up their balance sheets. Poor ranking of India in World Bank’s Ease of Doing ranking was another major driver of new insolvency legislation. Concerning banking crises, Legislative Decrees No. 180/2015 and No. 181/2015 implemented the Bank Recovery and Resolution Directive amending the Banking Law and identifying the Bank of Italy as the competent national resolution authority. Banks operating in Italy are required to prepare a full recovery plan setting out the measures to be taken by those institutions for the restoration of their financial position following a significant deterioration, in a such a way providing the resolution authority the appropriate information to plan how the institutions’ or groups’ essential functions may be isolated and continued. Resolution authorities are also to be provided with powers to require an organization to take steps to restore financial soundness or to reorganize its business. Using the recovery plan as a basis, the resolution authority will prepare, after having consulted the European Central Bank, for the banks on which supervision is carried out jointly by the Bank of Italy and the European Central Bank, a resolution plan for each institution, setting out different options for resolving the institution in a variety of scenarios. •	bail-in tool: ensuring that most unsecured creditors of an institution bear appropriate losses. If it is possible for the company to survive, the Minister for the Economy and Finance may place the company into special administration following such a proposal from the Bank of Italy. The Bank of Italy will subsequently appoint various special bodies to provisionally manage the company and, most importantly, to assess its financial situation and propose solutions in order to ensure the protection of savings. In an urgent situation, if the conditions for placing the bank into special administration have been met, the Bank of Italy can appoint a commissioner to manage the bank for a short period (temporary management). If the crisis is irreversible and cannot be overcome, the company will undergo a compulsory administrative liquidation ordered by the Minister for the Economy and Finance on the Bank of Italy’s proposal and the Bank of Italy will appoint the liquidating bodies, which will act under its supervision. None at this time. We are expecting that the rules for the Turnaround ADR process, which is an out-of- court workout system made in reference to INSOL 8 Principles, will be modified to allow rehabilitation plans to be approved by a majority of the creditor vote. This would be a change from the current rules requiring unanimous approval for the purpose of confirming a rehabilitation plan by creditors. There have been no recent legislative changes in Botswana with respect to insolvency and restructuring. The last change was in 2008 wherein the employees claims in an insolvent estate were given preference over the claims of other creditors however, such preference is limited to a maximum of BWP 100 which is a very small fraction of employees’ wages. The Government of Botswana appears to have taken a general position, which is not documented, that State owned enterprises, that were incorporated to generate their own income, need to be self-sustaining and as a result the latter generally does not embark on injecting additional capital especially if there are signs that there are limited chances of the entity being able to be self-sustaining in the long term. There have not been any significant legislative changes that are impactful on the insolvency/restructuring practice. However, the American Bankruptcy Institute established a commission to study potential reforms to the Bankruptcy Code. The commission concluded its 3-year study with a report in 2014. Many recommendations contained in the report may be considered by Congress. Some are controversial, as the proposed changes may tilt the balance of power and leverage between debtors and creditors. In addition, Congress considered the adoption of a new Chapter 14 to the Bankruptcy Code that would address financial institution insolvencies. If adopted, the new chapter would remove the management of bank insolvencies from federal FDIC receiverships to the bankruptcy courts. See H.R. 3310, 11th Cong. (1st Sess. 2009). While the bill has not been enacted, it remains the subject of active consideration and debate. In your opinion, how important are business reviews, even for those not necessarily in trouble, to ensure that they are in a healthy position? It is absolutely critical that there are mechanisms by which the banks are able to keenly observe the financial health of their borrowers. This can be linked with corporate governance disclosure requirements and obligations of audit committees and independent directors. The moment a company steps into twilight zone there should be ways and means to ring the alarm bells for creditors. The business reviews are very important and with the perspective new insolvency law there will be also the introduction for an alert procedure, previously not existing. I think this is very important. The Japanese government and insolvency related professionals advocate “early revitalization,” whereby financially concerned companies ask restructuring professionals to check their financial conditions for a period of ten years. Audit companies are very active in this business and assist such companies to become more efficiently managed and operated. This is another one of the reasons why we have such a small number of insolvencies in Japan. In our opinion a business review is a good litmus test to measure the performance of a company on an annual basis. There is no legislation that makes such a review compulsory, business reviews tend to be conducted by medium to large businesses as part of their annual strategy review based on five year strategic plans. In some cases, this is a requirement from their holding company or shareholder, as a means of projecting/ forecasting their plans and potential growth in the next financial year. Business Reviews are a useful way of measuring whether the Company is on the right course strategically and to determine whether any changes need to be made to get the Company back on course strategically, financially and otherwise. While I do not believe that it is essential for a healthy company to commission a "business review" to confirm the healthy status of its financial position, it is certainly wise for directors of an enterprise that is in, or is approaching, the so-called "zone of insolvency" to obtain the insight of a turnaround management firm with particular expertise in the area of the enterprise's business activities. A turnaround consulting firm may either provide a report with recommendations on cost cutting, strategies to improve marketing and sales, or efficiency initiatives. At times, such a study may precipitate a change of leadership for the enterprise. If a change of management is not readily obtainable, an interim chief restructuring officer may be retained from the ranks of the turnaround management firm to aid in leading the firm to implement needed changes or pending the retention of a new leader. What are the critical issues to address when assessing a distressed business and implementing a turnaround? Absence of an effective law that allowed the distressed enterprise to commence insolvency proceedings quickly has been a key challenge. The debtor could initiate proceedings only after it had become “sick” which meant that its loses were more than its assets. This allowed the debtor to manipulate books to show artificial erosion of net worth. As default in payment of dues was not the trigger point for commencement, a lot of damage would have occurred to the business by the time proceedings commenced making rescue challenging. The debtor obtained stay from creditors’ action on commencing proceedings while it enjoyed possession of assets. The proceedings could go on for years. This created a high level of distrust in the industry between the distressed enterprise and its lenders. There was no creditors committee. Nor was there an independent office holder who could step in to lead the turnaround. Incompetent board provided oversight of the proceedings which frustrated the creditors. The Indian Central Bank promoted a number of schemes for out of court restructuring. These worked only partly as they applied to multiple creditors financing. Mismatch in approach of the promoters of distressed enterprise and the Indian lenders, in particular the public sector lenders is one of the key challenges. The banks focused more on restructuring of loans than on operational restructuring. Slow decision making by lenders is another cause of failure. Bankers fear they will be hounded by country’s investigating agencies to investigate if favours were taken in return for haircuts. Lack of availability of debtor in possession financing has been another reason for failure of turnaround schemes. Distressed investors realize value depending on a variety of factors, including transaction price, assessment of operations and achievability of the business plan, management execution, capital markets and exit opportunities. Furthermore, strategic buyers must also take into consideration challenges that include achievability of synergies and growth expectations and cultural implications. Distressed companies represent complex acquisition targets that have suffered any number of damaging events in their history, whether financial, operational, or managerial. A particular skill set and experience is required to assess distressed companies and to best position a buyer to unlock value. Restructuring advisors familiar with troubled situations can bring perspective and diligence assistance versus more traditional diligence efforts for non distressed targets, since a diverse range of investment opportunities has to be considered on potential targets, in order to quickly evaluate opportunities and determine if the target meets their investment criteria. •	A financial review of the target to diagnose the true state of its financial health to ensure that its financial position reflects its current situation. In addition, advisors must conduct a number of in-person, on-site meetings with the target’s management team, considering personality and cultural differences that may exist; in such a way, a comprehensive understanding of the business and its financial outlook, including the potential cost savings and/or synergies achievable if the acquisition is successful may be obtained. From the standpoint of lawyers, I think there are several critical issues including motivation of the CEO, result of SWOP analysis, relevant regulation of the industry, and selecting the appropriate procedure, e.g. out-of court-workout (Turnaround ADR) or court supervised procedures (under the civil rehabilitation process, or corporate reorganization process etc.). 1. Determine how you can stabilise the position: this includes giving comfort to creditors that the business is under control and that a proactive plan is being implemented to get the company back on track. 2. Assess the available options from an operational and financial position: critically the business will need to solicit advice on various areas that affect the business such as financial, legal, tax and operations. Notably a business plan needs to be put in place to identify the gaps, determining the objectives of the business, assessing potential business pipelines and reviewing the risks that the business is exposed to. The business will need to determine the financial options: does it require additional capital, what are the business’s debt obligations and what are its future capital requirements. 3. Implementing a turnaround strategy: once the above factors are determined they will influence whether the company restructures and continues to trade; whether the business must be sold as a going concern or if the company should be liquidated. Critical issues to address when assessing a distressed business and implementing a turnaround include precise identification of the reasons for distress; addressing candidly the enterprise's financial condition and business prospects with bondholders and working capital lenders to avoid "surprises"; obtaining competent insolvency counsel for the enterprise (even if bankruptcy is not a certainty) and separate counsel for board members and senior management to enable them to understand and readily discharge their fiduciary duties to equity security holders and, where relevant, creditors; creating a realistic turnaround plan, with a timeline and progress benchmarks; identifying and advising relevant creditors of any anticipated qualifications to auditor's opinions and the reasons therefor; and ensuring that, in the case of an enterprise with publicly traded debt or equities, all disclosures are made in compliance with applicable securities and other laws. Are businesses in your jurisdiction encouraged to look for alternative methods of fundraising instead of going through an insolvency procedure? If so, what are these methods and how often are they successfully implemented? The existing creditors do not let the distressed enterprise raise additional finance from third party lenders unless the enterprise has security to offer to third party lenders that is not charged to existing lenders. Once the enterprise defaults, the existing creditors are reluctant to lend additional money in or outside of insolvency proceedings. Exit finance industry is not large in India but has potential to grow as the Code allows insolvency professional to raise interim finance and negotiate resolution with new entrepreneurs and lenders. (iii) the division of the creditors into different classes based on their legal status and economic interests; and/or (iv) the different treatment of creditors belonging to different classes. Usually the unsecured creditors are allocated into different classes according to their legal position and uniform economic interests. • not allowing outstanding contracts to be terminated by creditors. • not preventing the company from participating in public tenders. • providing a one-year moratorium on paying secured creditors. • selling the company as a going concern free from any liens. • paying certain pre-petition debts towards critical suppliers/vendors subject to court's prior authorization. As mentioned in the response to Q1, REVIC has a fund raising function for rehabilitating corporations. It has executed fund raising for 19 cases, for a total sum of investment of approximately USD 3.7 billion. In which circumstances are companies required to commence insolvency proceedings? What consequences or liabilities can result if a company does not commence proceedings and continues business while insolvent? An enterprise can apply for commencement of resolution process if a default has been by it in payment of debt to its financial or operational creditors. There is no consequence or liability for not commencing proceedings. The creditors can also commence proceedings when a corporate debtor commits default in payment of debt. The management of corporate debtor is displaced by an independent insolvency professional on commencement of proceedings irrespective of on whose application the proceeding is commenced. The board of directors is suspended. The assets are also taken in possession by insolvency professional. The insolvency professional manages the enterprise as a going concern. or (iii) more than EUR 500,000 of debts (including no overdue debts). In any case, a company cannot be placed in a bankruptcy procedure when the amount of the debts overdue and not paid is less than EUR 30,000 irrespective of the above thresholds. Directors, shareholders and parent entities of a joint stock company (società per azioni- SpA), or a limited liability company (società a responsabilità limitata - Srl) cannot be held liable for the insolvent debtor's debts and their liability arises only for damage caused to the company or to third parties including creditors owing to breach of fiduciary duty or wrongful conduct. Only members of partnerships can be held liable for the debts incurred by the insolvent partnership. They are also declared bankrupt if the partnership is declared bankrupt. • the company for breach of their fiduciary duties and other duties set out in law or in the company's bye-laws. • the company's creditors for breach of their duty to preserve the company's assets when they are insufficient to repay the creditors. • the company, the shareholders, the company's creditors and third parties if there is a delay or omission when ascertaining an event that causes the dissolution of the company. • shareholders and/or third parties who have been directly damaged as a result of an act performed by a director using fraud or negligence. One of the critical filing requirements for insolvency proceedings under Japanese law is that the debtor be in a state of either: (1) balance sheet insolvency; or (2) inability to pay the debts when they become due. If the company is insolvent and continues its business, the directors may be liable for fraud or gross negligence for borrowing money, ordering goods and/or materials, etc. They can be subjected to claims for damages as well as to criminal sanctions. 3. It is proved to the satisfaction of the Court that a company is unable to pay its debts. The court in its enquiry shall consider the company’s contingent and prospective liabilities. There is no liability to the Company or its shareholders for failing to institute insolvency proceedings, however, directors can be held personally liable for the debts of a company in terms of section 160 of the Companies Act for contracting debts on behalf of the Company even though he is aware that the Company will likely not be able to pay the debt. Unlike some European countries, there are no criminal liabilities imposed upon officers or directors of an insolvent U.S. enterprise for failing to commence insolvency proceedings at any particular stage of its insolvency. However, under many state laws, officers and directors of insolvent enterprises become fiduciaries for creditors as well as equity security holders. A breach of those fiduciary duties may result in their liability to the enterprise. Some jurisdictions allow creditors to bring suits derivatively, on behalf of the enterprise, against officers or directors who fail in their fiduciary duties to manage an insolvent enterprise for the benefit of both equity and debt holders. A number of years ago, a theory emerged of "deepening insolvency" by which officers and directors could be sued for allowing an insolvent or nearly insolvent enterprise to become even less viable, whether through inattention to the problem, mismanagement or misallocation of resources for improper purposes. Do you have any predictions relating to insolvency and restructuring for the next 12 months? The problems of non performing loans will continue to trouble the Indian banking sector in the year 2017. The Insolvency Code is very new and so are the various institutions set up under it. It is not going to be of much assistance in resolving the existing non performing loans. The other main challenge will be to persuade the public sector banks to make the cultural shift towards rescuing business from the current focus on immediate recovery. Another challenge will be to incentivise high quality professionals to join the insolvency profession. A stringent regime where the government has a big say in discipline the professionals will act as a deterrent. In 2016, the so called Rordorf Commission has completed the work committed by the Minister of Justice, which consists in drafting a project of the complete insolvency laws, which dates back to 1942. The next step will be for the Parliament to approve a new insolvency law replacing all the laws hereinafter mentioned; it is possible to foresee for 2017 such deep change. Law Decree No. 59 of 3 May 2016, as subsequently converted into Law No. 119 of 30 June 2016 (Law Decree No. 59/2016). As I mentioned in Q3, Turnaround ADR system may be modified allowing majority voting, which may facilitate the procedure. The number of legal filing for insolvency cases may remain low as those of last year. Despite an improving economy, the likelihood (if not near certainty) of rising interest rates will take a toll on enterprises that are barely managing to get by in a very low interest rate environment. Although the President's promised stimulus package may enhance employment and temporarily boost the economy, it is possible that that stimulus will be short-lived and will lead to investment and expansion activity that will come to a sudden halt, leaving a number of enterprises exposed to insolvencies. The U.S. real estate market, in the southeastern states in particular, has been extremely hot and there is already concern in some quarters that there is a significant amount of "over building," particularly when taking into account projects that are on the "drawing boards" but not as yet commenced. Therefore, it is possible that in the next 12 months there will be the beginnings of a downturn in the real estate market, particularly office buildings and condominiums. Rising interest rates will have a negative impact on bond issuances by municipalities and other governmental issuers, and municipal bankruptcies can be expected to continue at the same, if not a more accelerated, pace.